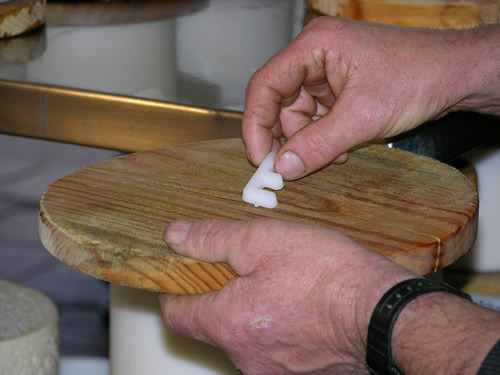 Cabrales cheese is more than just a dairy product, because it has the weight of a popular and artisan culture behind it. 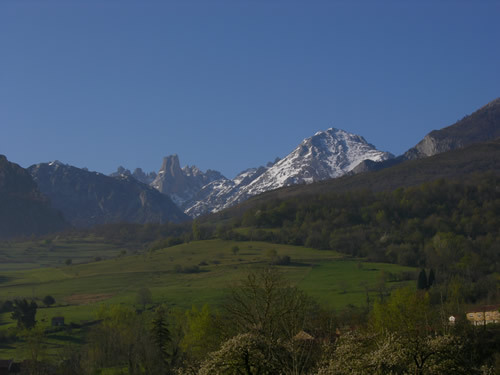 It has become one of the hallmarks of Asturias and the ambassador par excellence of Asturias in the rest of the world. 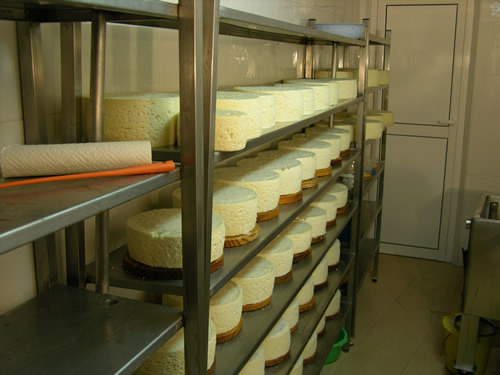 His role as a leader among Asturian cheeses obliges him to follow high-quality standards and to administratively protect their preparation to avoid fraud. 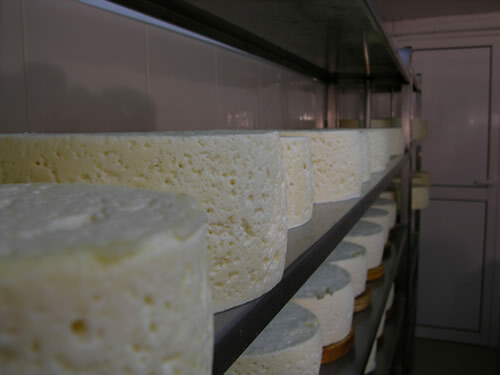 The production area of ​​Cabrales cheese includes the Council of Cabrales and three towns bordering the Council of Peñamellera Alta. 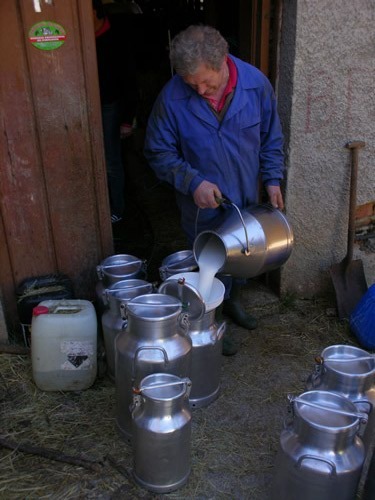 It is elaborated from raw cow's milk throughout the year and during the months of June and July it is mixed with milk from sheep and goat. 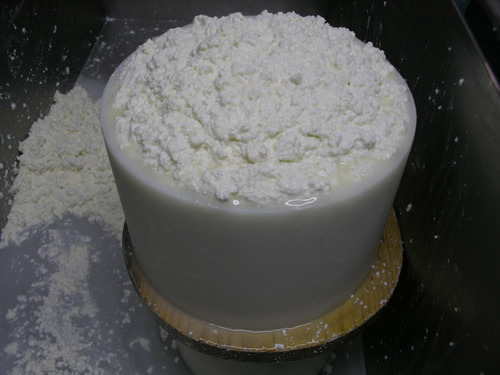 Its appearance before the denomination of origin (1981) and the constitution of Regulatory Council (All the milk used in the elaboration comes exclusively from farms established in the area of ​​production and controlled by this Council), it could be more romantic (wrapped as it was in sheets of banana), but after all, appearances have always appearances. 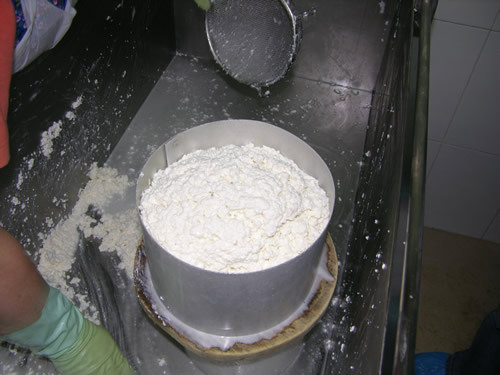 Now, stuffed as it is in a more commercial and hygienic suit, it has not lost its essence: that strong smell and that powerful, semi-hard, buttery taste and intense aftertaste on the palate. Its constitution has not lost royalty with the new times and continues to present that unctuous bark, brown, with the blue-green interiors that creates the penicillium. It is said that it has more than a millennium of life and eating it almost nobody doubts that the tradition has to be deep. It remains the same although today, when it is ready for consumption, it is wrapped in green aluminum foil, completing the packaging with the label of the manufacturer and the back label of the Regulatory Council (a red band flanked by two green bands and the logo of the Council with the corresponding numbering). There is no suspicion about their usual taste or possible suspicions about their origin or their elaboration. 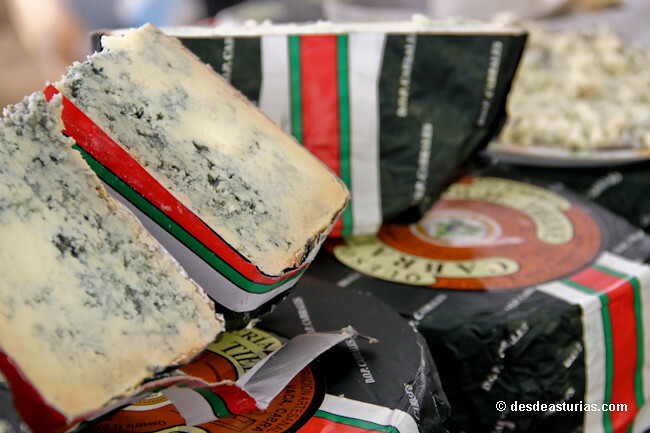 Ask about Cabrales in Asturias, and eat Cabrales really, is currently the norm. 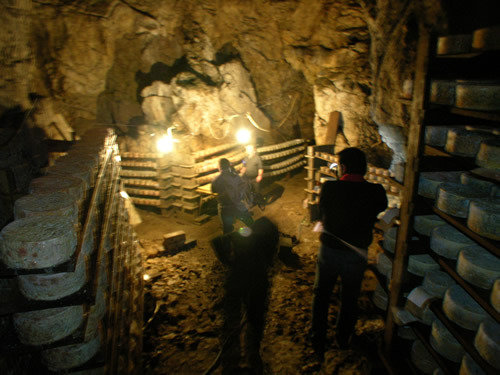 We return to Cabrales for a moment, the cradle of all this expectation and popularity, and we find the caves where the cheese matures from two to five months. 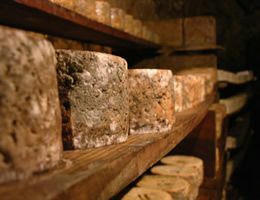 There are organized visits that explain all the previous life of Cabrales before consumption and that take us to know those caves. 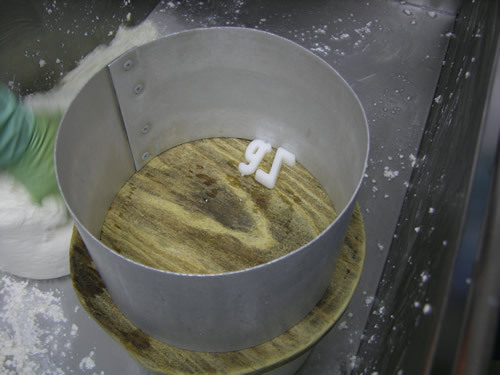 There it makes a cool temperature and high humidity (relative humidity of 90% and temperature of between 8º and 12º C.), and the smell of the cheese in an internal process of healing floods the environment. There is nobody who leaves a cave of these and that does not banish, if it had them, those unfounded beliefs that the cheese of Cabrales must take worms or is cured between manure. Nothing is further from reality. It is best to eat it drinking strong wines, spirits, ciders and marcs. 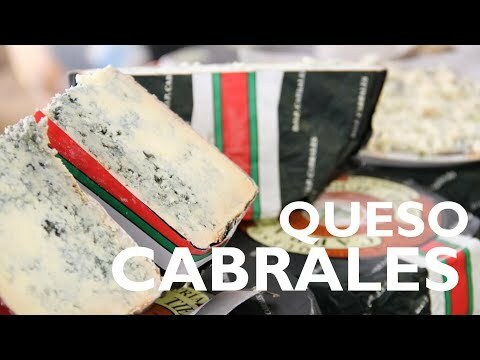 And the best thing is to learn to taste it, eat it with prudence and a little bit of culinary wisdom, because eating Cabrales cheese is not anything. Enjoy your meal! 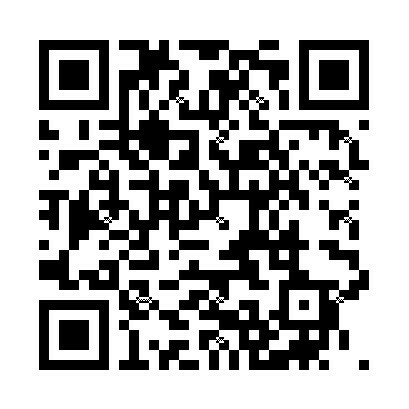 Punctuation: 6.7. of 3 votes. 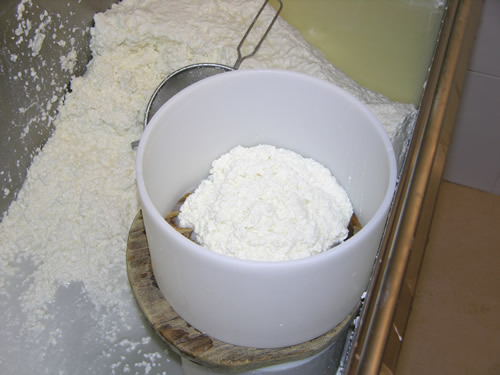 8 answers to "Cabrales cheese"